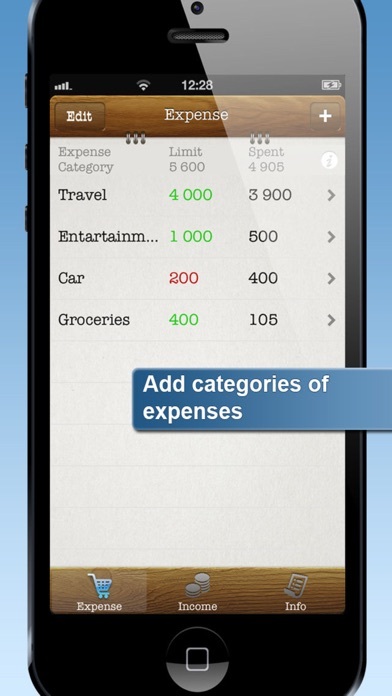 Doesn’t clearly tell you that you can only add 3 expenses then you have to buy it if you have more than 3 expenses. I would like a short fully functional trial period to see if it’s what l want! 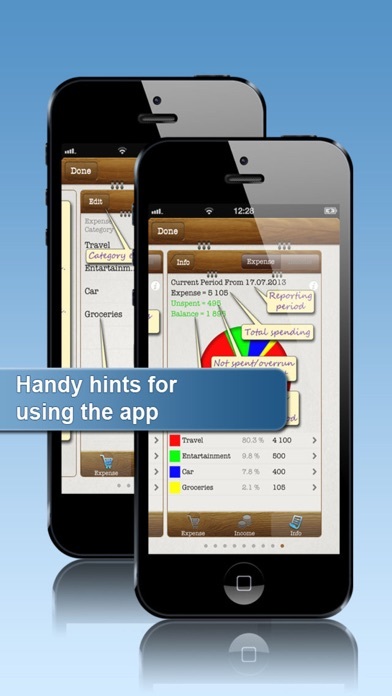 I have tried a few budget apps and they all get way too complicated or don’t do what I need. This is the one my family settled on. It’s very basic- no cents, so you have to round to dollars, which I hope they will update. 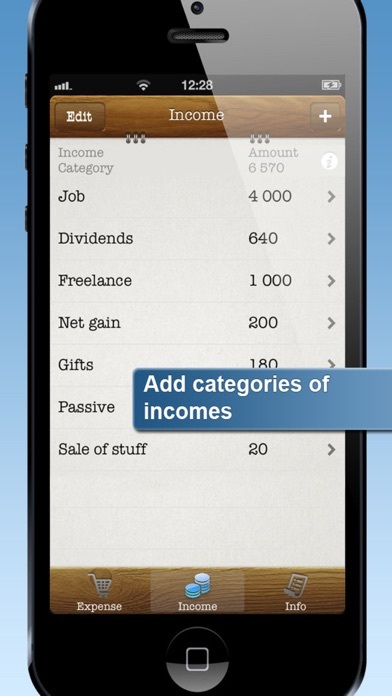 But i can easily track spending categories. Still looking for a great budget app but for now this is fine. 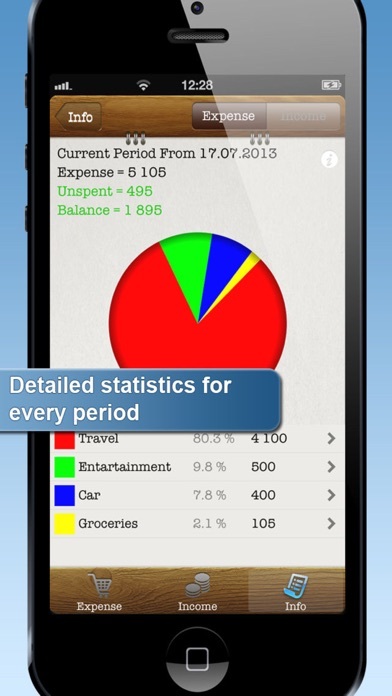 Easy to track expenses and to budget for recurring expenses. 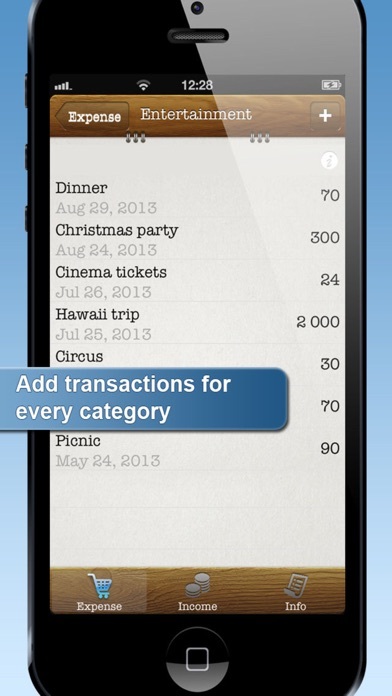 The app remembers the names of the payors you use on a frequent basis so it doesn't autocorrect incorrectly. Only suggestions would be 1) that the expense categories would default to alphabetical order (or that could at least be an option) and 2) that you could rename the expense categories. I just started to use the app but I will not experience its full potential until I invest $4.99 in order to add more categories. So far only 3 categories can be added without the pro purchase. Also please add decimal capability in order to have exact figures versus rounding off to whole dollar. Awesome app. Helps really watch your money! Please add a calculator and password!